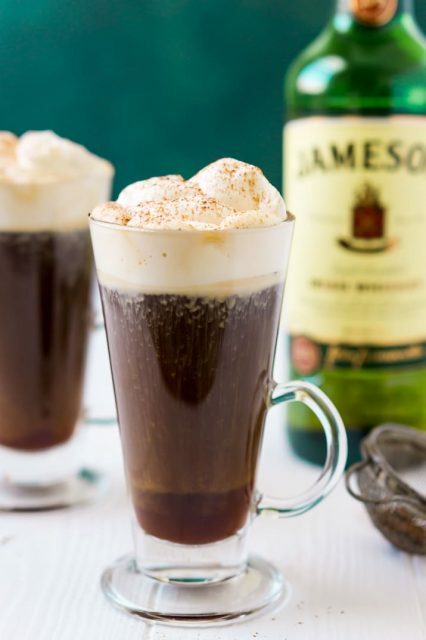 Ireland is famous and versatile when it comes to its choice of drinks, with whiskey and Irish cream being the primary component in most of them. 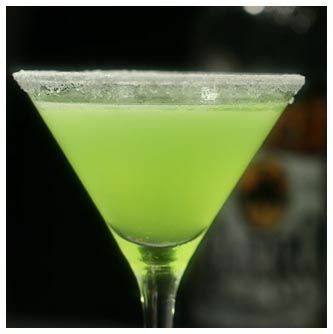 The country is all set to celebrate every occasion with a delightful toast with particular emphasis laid upon St. Patrick’s Day when one would not fail to spot a host of innovative green liquors gracing every households and pub. A country whose average beer consumption amounts to 131.1 liters, would surpass many others when it comes to providing for refreshing alcoholic and non-alcoholic beverages. Let us check the list that follows. What is it: This drink gets its name because of its method of preparation, which creates an explosive effect similar to a bomb. The ingredients that go into its making include Irish whiskey (Jameson), Irish cream liquer and Guinness (Irish stout or dark beer). 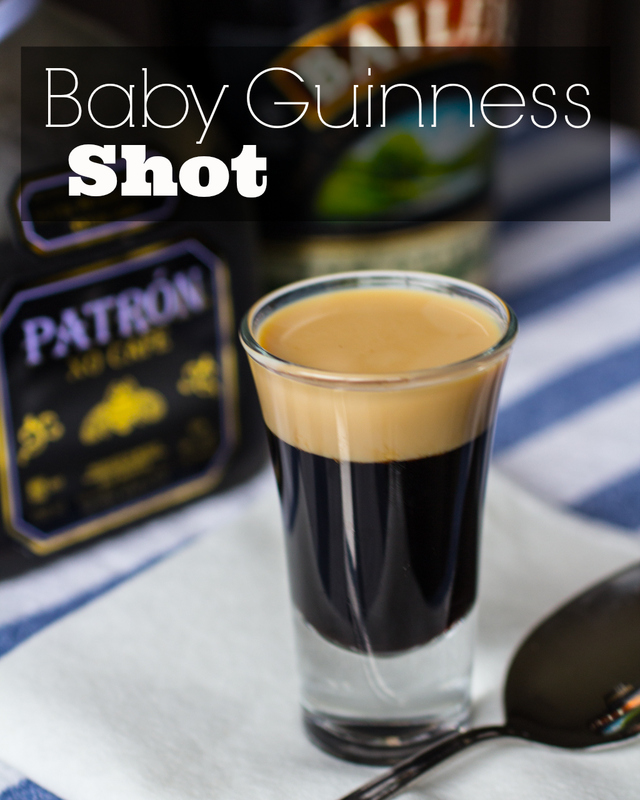 The Irish cream liquer is poured into a shot glass and topped with whiskey, while the Guinness is served separately, mostly in a tall-sized pint glass. 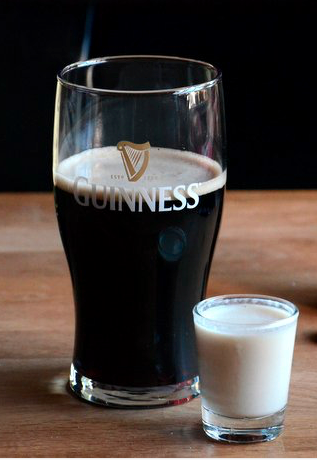 The real charm lies in dropping the shot glass into the pint glass in a fraction of a second. The liquer has to be consumed instantly as the cream tends to curdle within a short period. Ireland has had a bad history of car bombs in the past, and most pubs in the country find this name a little objectionable. Hence alternative terms like Irish Slammer and Irish Bomb shot are used while referring to it. What’s the flavor: The flavor depends upon the proportion of the ingredients used while making it. The sweetness of the Jameson whiskey, milky flavor of Guinness as well as the creamy and nutty texture of Irish cream liquer, gives it a unique taste. What is it: This is a cream based liquer prepared by Diageo (British company manufacturing alcoholic beverages) made in Ireland’s Dublin city. Besides, Irish whiskey, its other ingredients include milk, cream, chocolate, and vanilla. This beverage has a long shelf life of about two years and would even remain fresh until that time. What’s the flavor: It has a creamy, velvety, smooth and rich taste, and may also be a part of many other beverages for a unique fusion. What is it: A refreshing cocktail, made from gin, vodka, triple sec (orange-flavored liquer), blue curacao (citrus fruit drink), peach schnapps and an energy drink (preferably red bull). What’s the flavor: This beverage is known to possess a candy-like sweetness because of all the ingredients which go into its making. 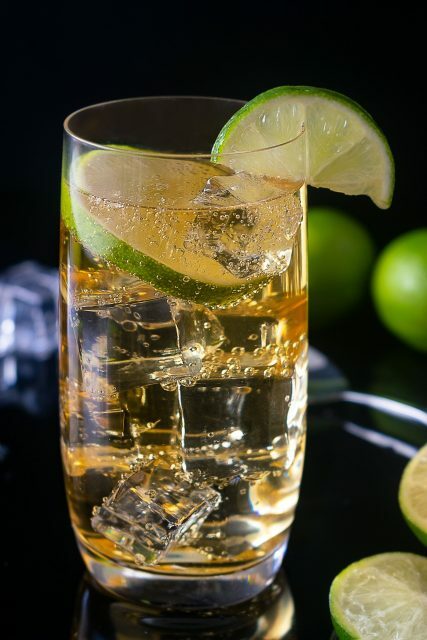 What is it: A popular highball made by adding a shot of Jameson (Ireland’s blended whiskey) and topping it with a dash of ginger ale as well as a big lime wedge (for garnishing). What’s the flavor: Refreshing with a tangy and a little sour taste because of ginger ale and lemon. 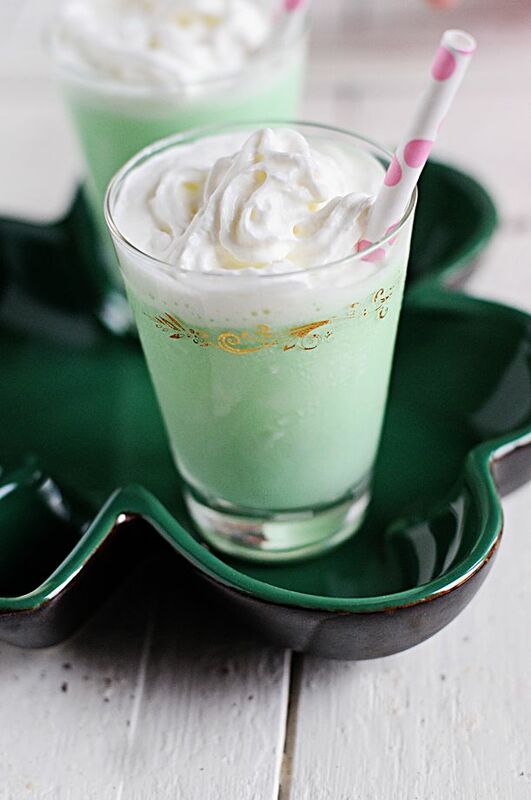 What’s the flavor: A unique yet simple beverage, having green crème de menthe (mint-flavored, sweet alcoholic drink) and white rum as its primary ingredient. Vodka may come in the place of rum for a weakened mint flavor. 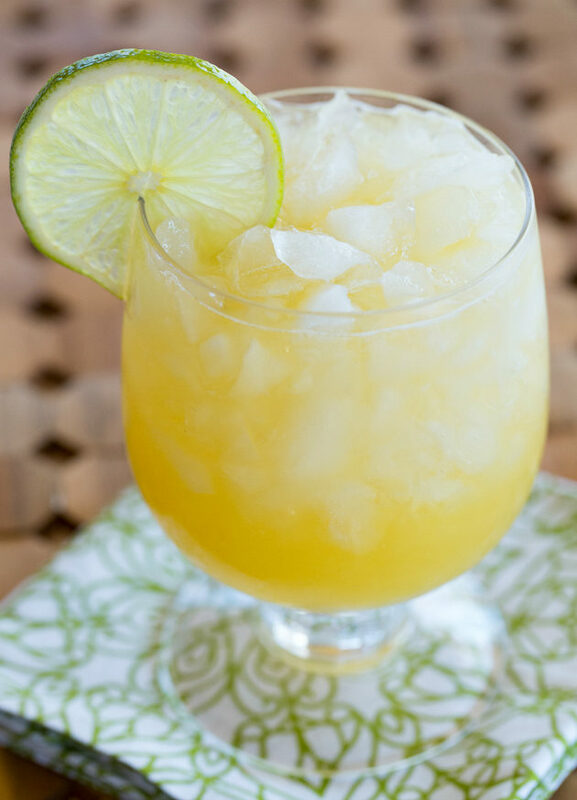 To cherish this drink in the summer months, add cubes of ice to the mixture. What does it taste like: Minty and sweet, often served with chicken or lamb dishes. When serving it to guests, you could garnish it with mint sticks covered with chocolate or a green and red striped candy cane. 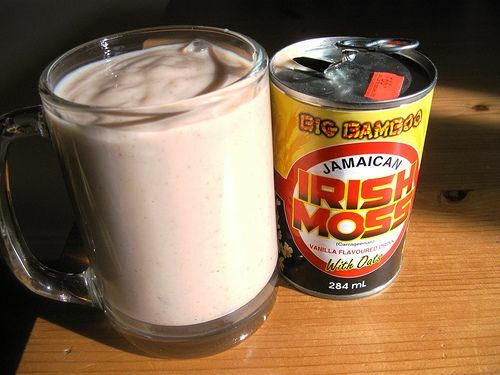 What is it: A healthy drink primarily made with Irish moss (a red algae species, also known by the name of carrageen) alongside coconut milk, ice cubes, linseed, nutmeg, vanilla extract, sugar and Jamaican white rum. What’s the flavor: Nutty and sweet, with a texture similar to a protein drink or milkshake. However, after having a few sips, it seems to leave a chalky taste in your mouth and may also be a little heavy on the stomach. 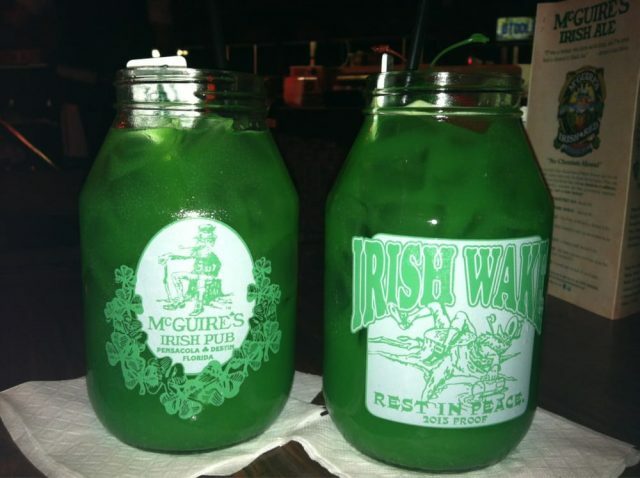 What is it: A popular beverage mostly drunk during the famous “wake” tradition where people pay respect to the deceased amidst rituals and also merrymaking. 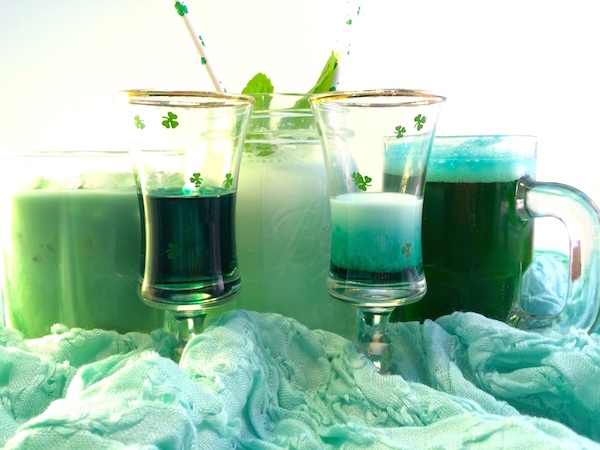 Though one can make “Irish Wake,” with a variety of drinks, the cocktail mentioned here is a prominent one that has gold rum, white rum, blue curacao, bacaradi 151, orange juice and ice as its ingredients. What’s the flavor: It is a sweet fusion, while the addition of curacao adds a tinge of bitterness to it. What is it: A perfect cocktail made with Irish whiskey, hot coffee, sugar and a topping of cream. Though the addition of coffee remains constant, the method of preparation has varied over the years. The cream may either be sprayed from a can or shaken gently to attain a smooth layer. 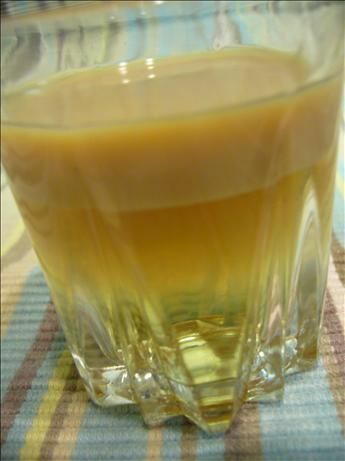 In Spain this beverage is served a little differently as the bottom layer has whiskey, the middle layer has coffee, while the cream is on the top. What’s the flavor: Sweet, creamy, frothy and smooth, that may be served hot or even chilled. 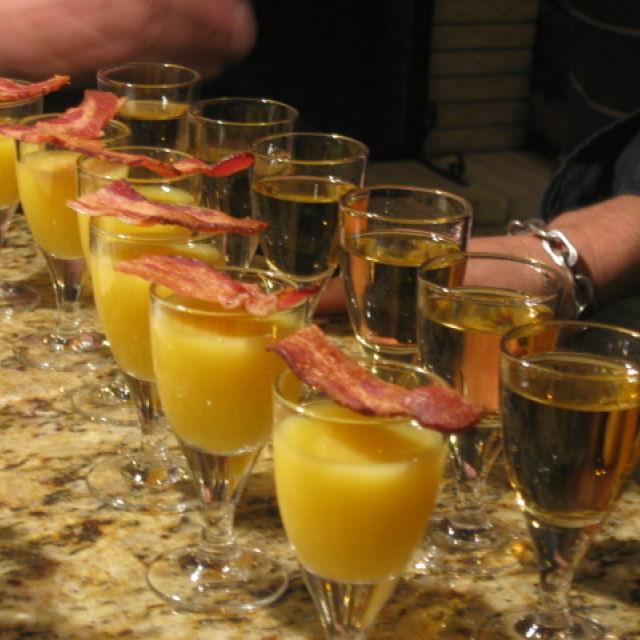 What is it: Irish whiskey, butterscotch schnapps, orange juice, alongside a garnish of bacon sitting right on top of the glass, is all that makes up the Irish breakfast shot. What’s the flavor: The strong taste of whiskey, teamed with the sweetness of orange juice and the caramel-like flavor of butterscotch schnapps makes it a fantastic drink. 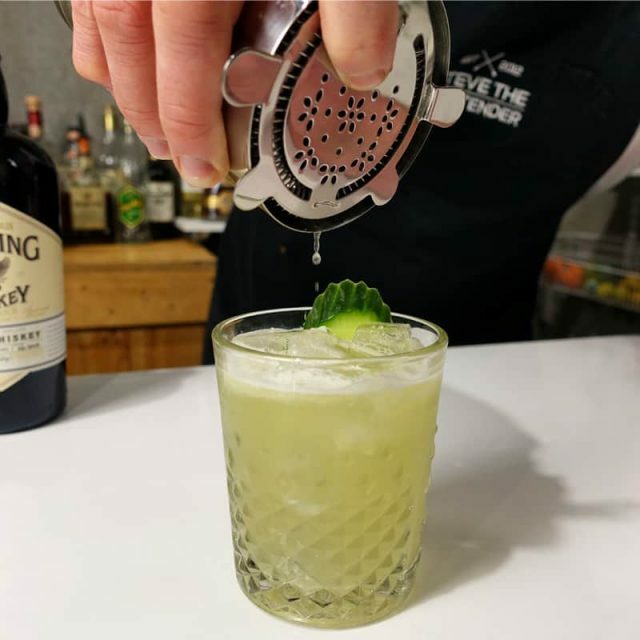 What is it: Another interesting St. Patrick Day drink, this refreshing cocktail is made using ginger beer, whiskey, and lime juice. The Irish Mule is just another version of the Moscow mule the only difference being that the latter uses vodka instead of whiskey. 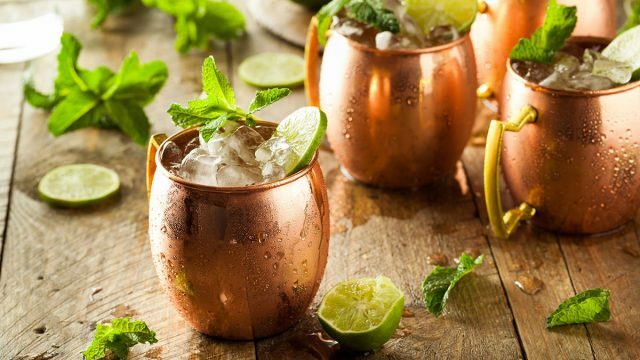 What’s the flavor: Warm and cozy, the addition of ginger beer gives the Irish Mule a special punch. Sometimes the ginger beer is often replaced with Guinness or green beer. 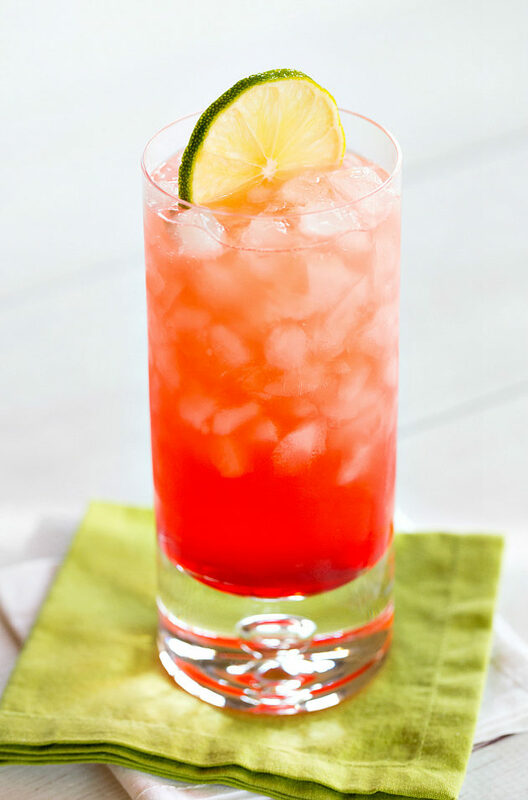 What is it: Irish whiskey (mostly Jameson), grenadine (a sweet and tart syrup made from pomegranate, responsible for the red color of the drink), lemon and lime juice, and also sprite is used for making this drink. What’s the flavor: A combination of sweet, tart, lemony and frizzy! Garnish with lime wheels and cherry to make it look decorative. 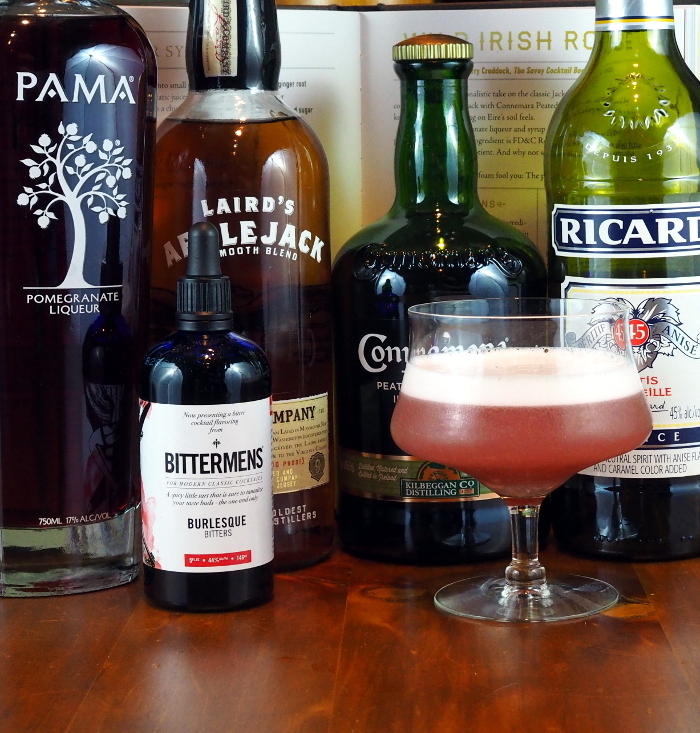 What is it: Another cool beverage made using Irish whiskey as well as grenadine, lemon juice, sugar syrup, and soda. 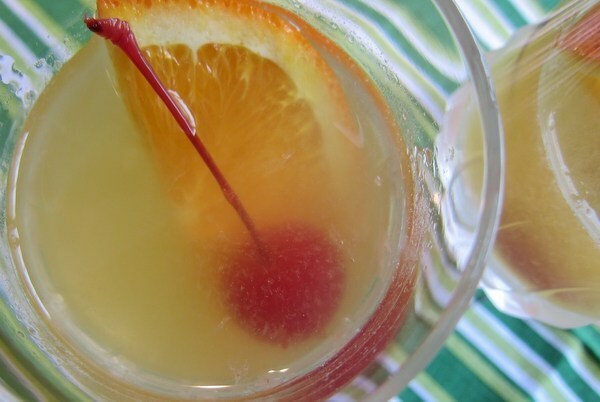 A lemon twist and cherry would serve as garnishes. What’s the flavor: Sugary, sweet and tangy…this is what the taste of Wild Irish Rose is actually like. 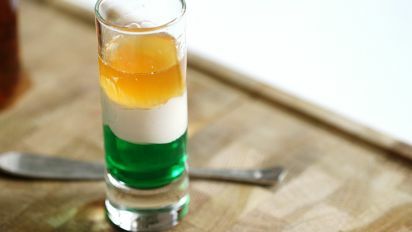 What is it: A layered cocktail having colors of orange, white and green, mimicking the flag of Ireland. The crème de menthe, Irish cream and Grand Mariner (arranged in an order in which they have been mentioned) is what the drink is made up of. What’s the flavor: Sweet, minty, caramel-like and a lot lighter, just like a candy drink. What is it: Irish kiss is another refreshing drink made using any brand of whiskey, peach schnapps, ginger ale, and orange juice. Topping it with ice cubes and garnishing it with lemons would make for a fabulous relaxing beverage. What’s the flavor: Sweet and tart… a perfect drink for a summer evening. What is it: Another interesting cocktail, made using Irish whiskey, St. Germain (elderflower liquer), cucumber slices, sugar syrup, and fresh lemon juice. What’s the flavor: The freshness and juicy flavor of cucumber, teamed with the tartness of lemon juice and the herby taste of elderflower give it a unique taste altogether. 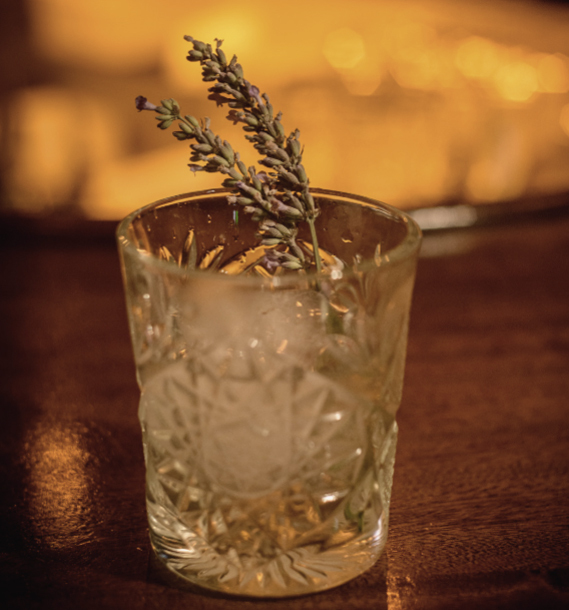 What is it: A brown whiskey liquer originating in Ireland’s Dublin made using aged Irish whiskey, clover honey, heather, aromatic herbs as well as other spirits. The Irish mist forms an essential ingredient while making several cocktails like penicillin (using whiskey, lemon juice, ginger liquer, honey syrup), a whiskey orange (made with Sambuca, an anise-flavored liquer, whiskey, sugar, and orange juice). What’s the flavor: Warm, smooth, clear with the addition of honey and herbs making it sweet and aromatic. What is it: A distilled beverage, traditionally prepared with potatoes and milk whey, though at present cereals, sugar beet, grains, and fruit (apple) may be included. It was prepared in small pots, and that is how it derived its name, as pota is an Irish word, meaning pot. Since it was mostly homemade, it gradually became illegal in 1661 when the government put restrictions on preparing distilled drinks at home. Since then it was primarily produced in rural regions away from the interference of law. It got legalized in 1997 and 2008; the EU Council granted it Geographical Indicative Status. Presently, it has made its way to the pubs and also sold in supermarkets. What’s the flavor: It has a unique taste indeed that has made it so popular. On drinking it initially, the taste is grainy, strong and peppery, which gradually attains a sweet flavor (probably because of the addition of fruits like grapefruit, raspberry, melon, and apples in the recent times). 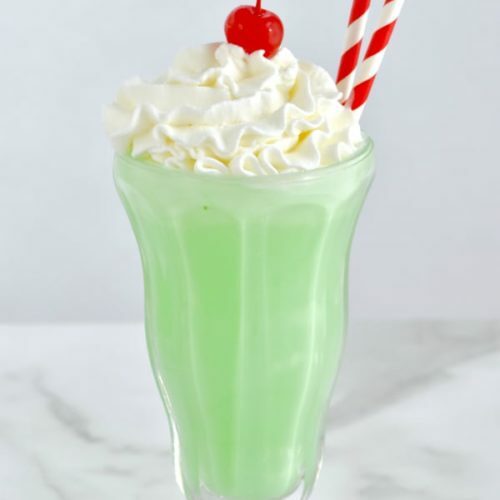 What is it: A mint-flavored green milkshake popularly sold at Mc Donald’s during March for St. Patrick’s Day. Introduced in 1970, it was initially prepared from lemon and flavored using lemon or lime and vanilla ice cream. What’s the flavor: The rich vanilla flavor teamed with the essence of mint makes it a sheer bliss. What is It: Irish people are often known to have whiskey along with honey, ginger, and lemon as a remedy of getting rid of cold. This is exactly what Irish Cure is about where Jameson whiskey along with dark rum, calvados (pear or apple brandy), lemon juice, and ginger is used for this medicinal decoction. What’s the flavor: Sweet, sour and a little spicy (because of ginger). What is it: An Irish beer originating in Arthur Guinness’ brewery in Ireland’s Dublin in the year 1759. This drink has popularly been used in making a host of cocktails like the Guinness Dark and Stormy (ginger beer, rum, blueberry syrup); Guinness Bloody Mary, Guinness Black Velvet Cocktail and much more. What’s the flavor: Milky and wet while the addition of barley could give it a burnt flavor. 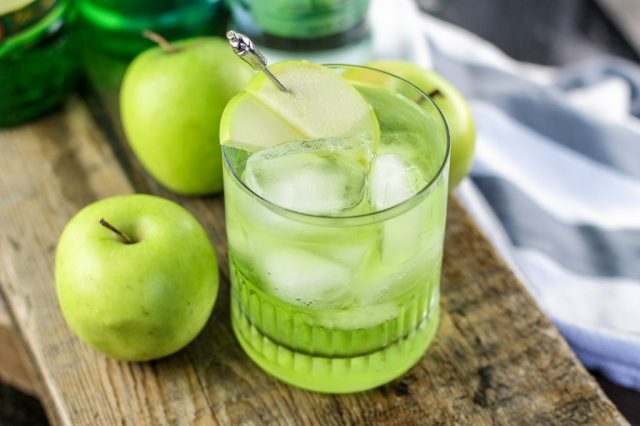 What is it: The primary ingredients that go into the making of this drink include Jameson Irish Whiskey, apple schnapps, cranberry juice and apple slice (as a garnish). 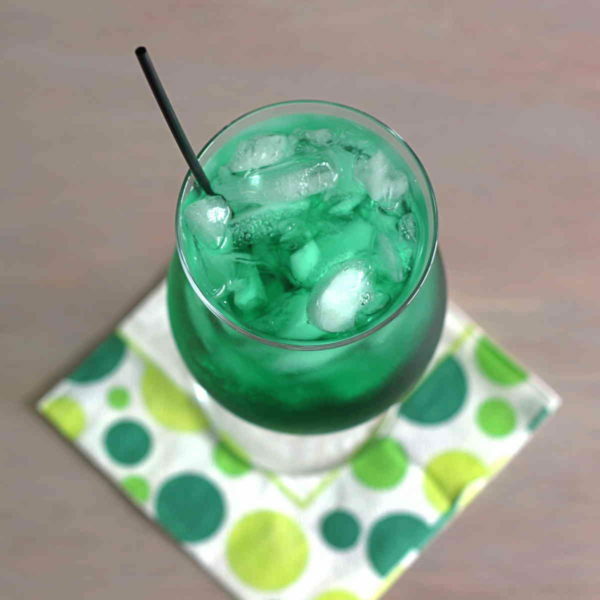 What’s the flavor: Sweet and tart—a perfect drink to celebrate St. Patrick’s Day. 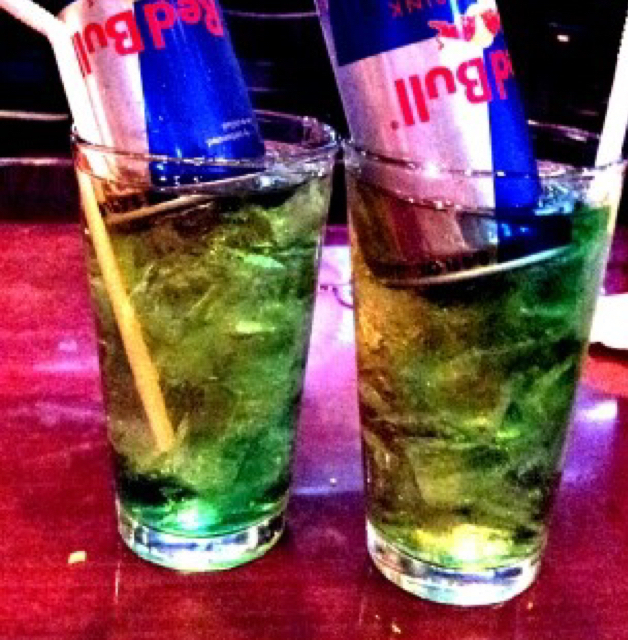 What is it: A famous dog themed drink perhaps after the presently extinct Irish Bulldog. 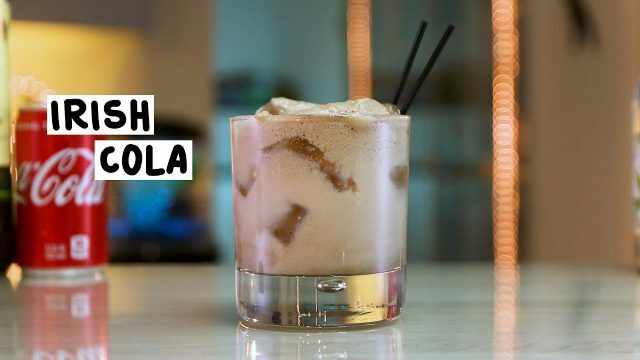 Vodka, Irish cream, cream, and coke are used to prepare this interesting cocktail. What’s the flavor: A creamy and frothy delight, with the subtle taste of vodka making it all the more delectable. 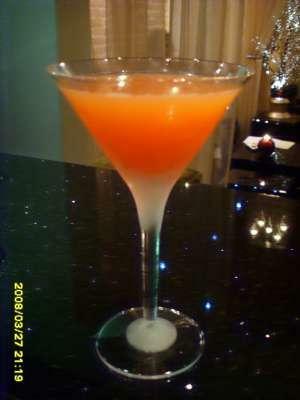 What is it: Gin, orange and lemon juice, as well as grenadine syrup, is all that the drink consists. What’s the flavor: Sweet, tart and sour all because of the ingredients that go in its making. What is it: A brilliant cocktail with Irish whiskey, crème de menthe, half and half or cream and chocolate shavings as a garnish. What’s the flavor: Sweet and minty, a perfect after-dinner drink for the festive season. What is it: A great drink to replenish your energy in the summers, made using Jameson whiskey, lemonade, ginger beer, bitters and a garnish of fresh mint or lemon. What’s the flavor: Lemony, minty and also a little bitter-sweet because of the bitters added to it. What is it: A chilled soda drink made by blending Baileys Irish cream and Irish whiskey with cola. What’s the flavor: The flavor depends on the kind of whiskey used as Jameson would make it smoky, Teeling Small Batch gives it a light texture, while Bushmill’s Original makes it spicy with flavors of vanilla and oak. Apart from this, a tinge of sweetness prevails, though the regular coke is preferred instead of the diet ones because of the sugary taste. What is it: A drink made of Irish whiskey, Tia Maria, crème de menthe and cream ( as a topping). 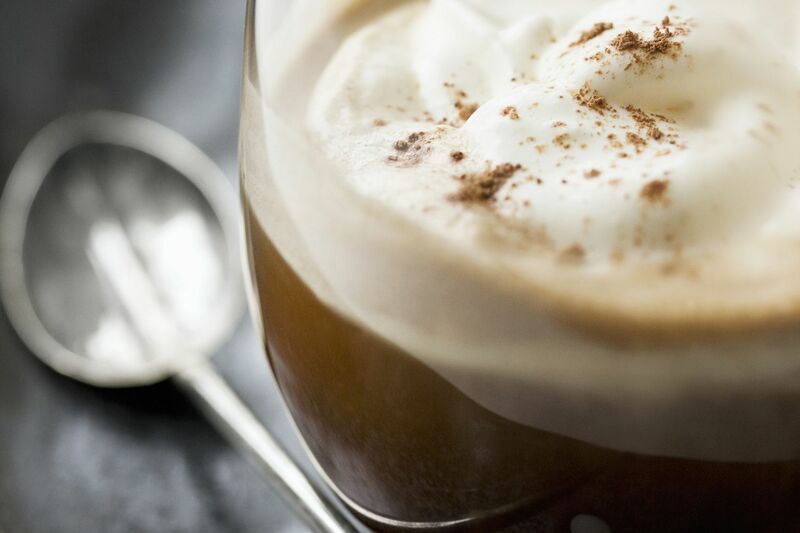 What’s the flavor: Sweet and creamy with a flavor of coffee because of the inclusion of Tia Maria. What is it: A mixture of beer and carbonated lime or lemon. 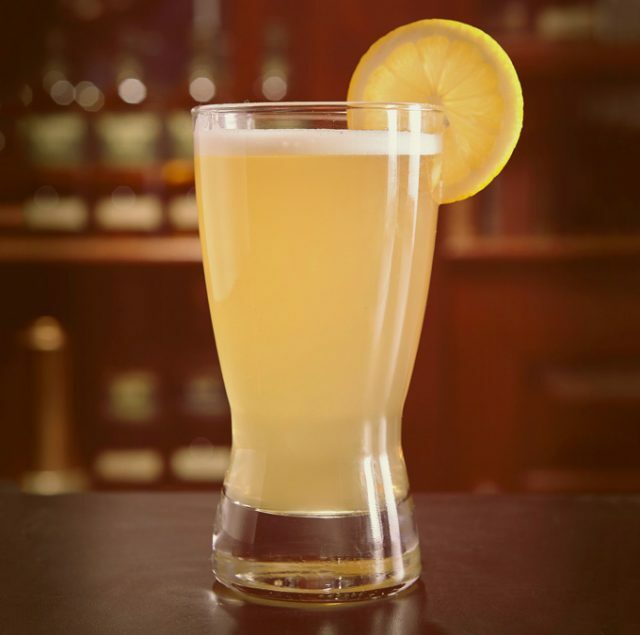 The version of shandy varies from one place to the other, with the nonalcoholic ones referred to as rock shandy. In Ireland, the one sans the alcohol is popular that is prepared mixing lemon and orange soda in equal halves. 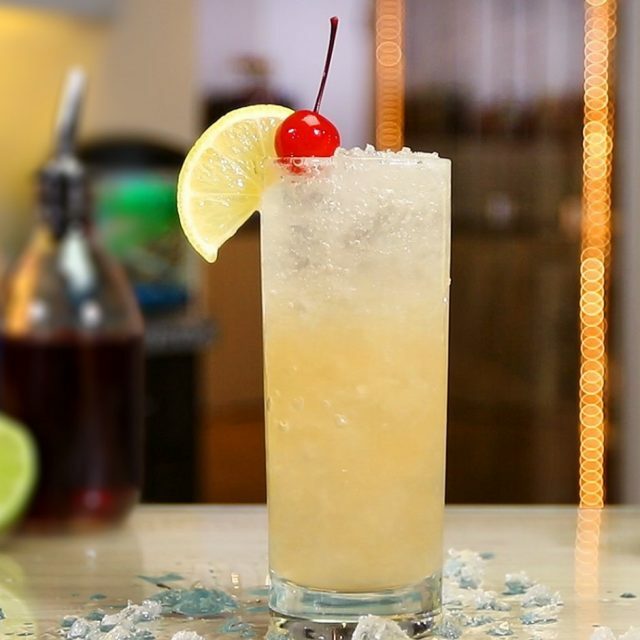 What’s the flavor: This refreshing drink has a sweet and lemony flavor, being apt for people who are on the lookout for a low alcoholic or non-alcoholic beverage. 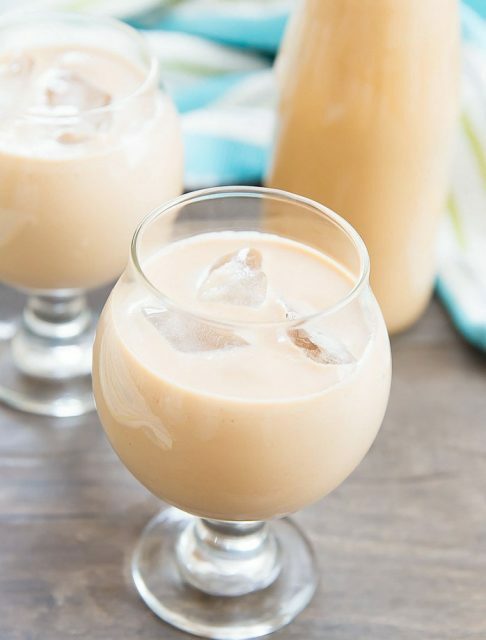 What is it: The drink is as unique as its name made from banana liquer, amaretto, and Irish cream. What’s the flavor: The taste of bananas and almonds dominate along with a tinge of sweetness. 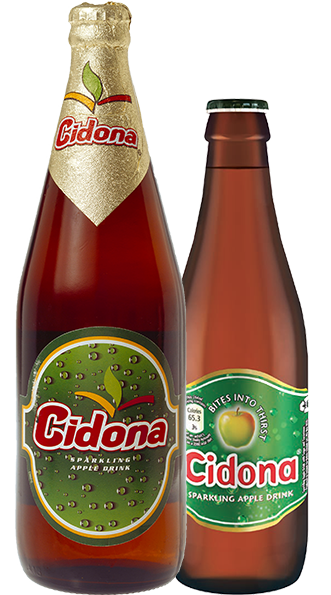 What is it: An apple-flavored soft drink famous in Ireland since 1955. What’s the flavor: Sweet and frizzy with the taste of apples surpassing everything else. 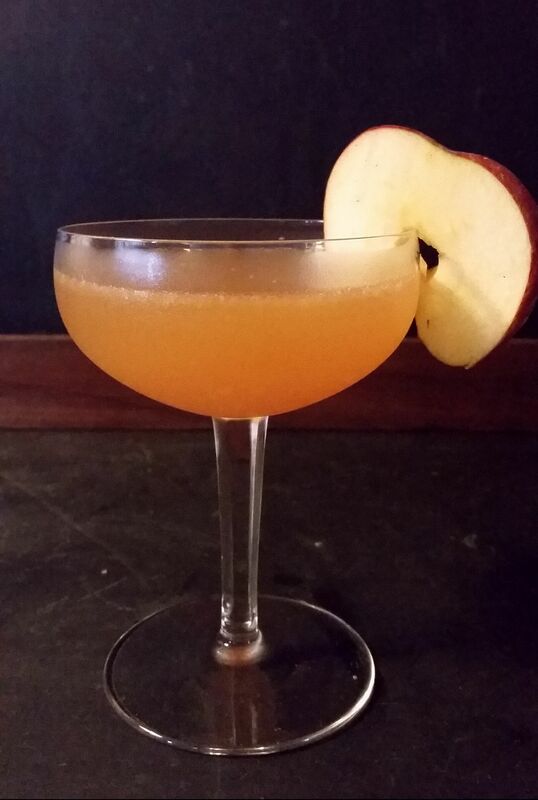 What is it: Another mind-blowing cocktail made using Irish whiskey, simple syrup, lemon juice, alongside orange wheel and cherries as garnish. The cocktail is often served in a sour glass (short and round champagne glass). What’s the flavor: It has a great flavor, combining the sweet and the sour, and every sip of it taking you to a different level altogether. Apart from the list above some other exciting names of Iris drinks include Irish Lullaby, and the Lady and the Gentleman. On your next trip to the country do not miss out on trying a few of these unique cocktails to quench the thirst in you.